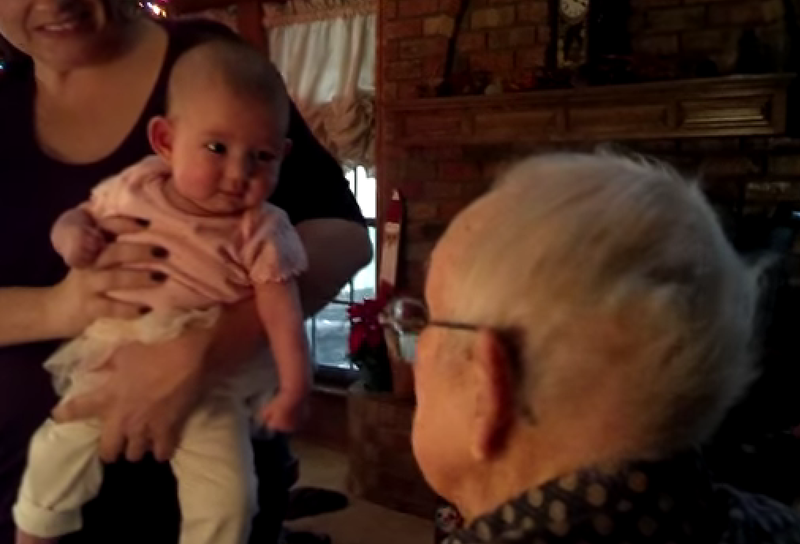 She Shows Grandpa Her New Baby, But She Never Expected THIS! WOW!! There are some moments that are almost too precious and intimate to believe — and this is one of them. Though the clip is barely a minute long, it does a fantastic job of revealing the power of family, music and togetherness. I mean, how incredible is this? The way Miller seems to be listening to her great-grandpa so intently, and how this man is so young at heart at the age of 95. Generations of love, all wrapped up in 60 seconds. If this moment touched your heart, please SHARE it with your friends on Facebook! Spread the love!